Hi, Debbie here! 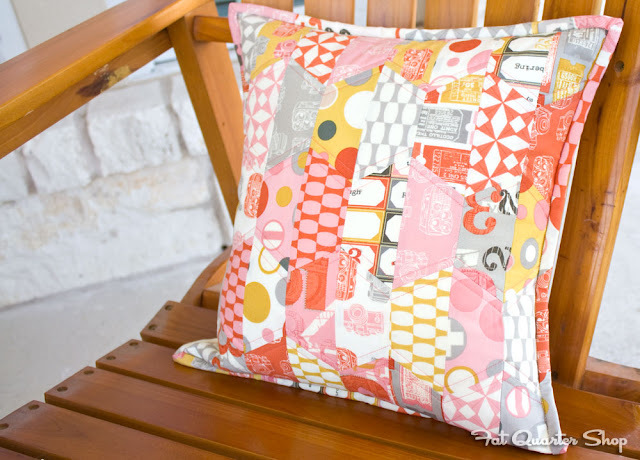 I recently made an adorable pillow using Lori Holt's Hexie Half Ruler and Sherri of A Quilting Life's tutorial. We are parading our pillows today, so be sure to head to her blog to see the other adorable hexie pillows! 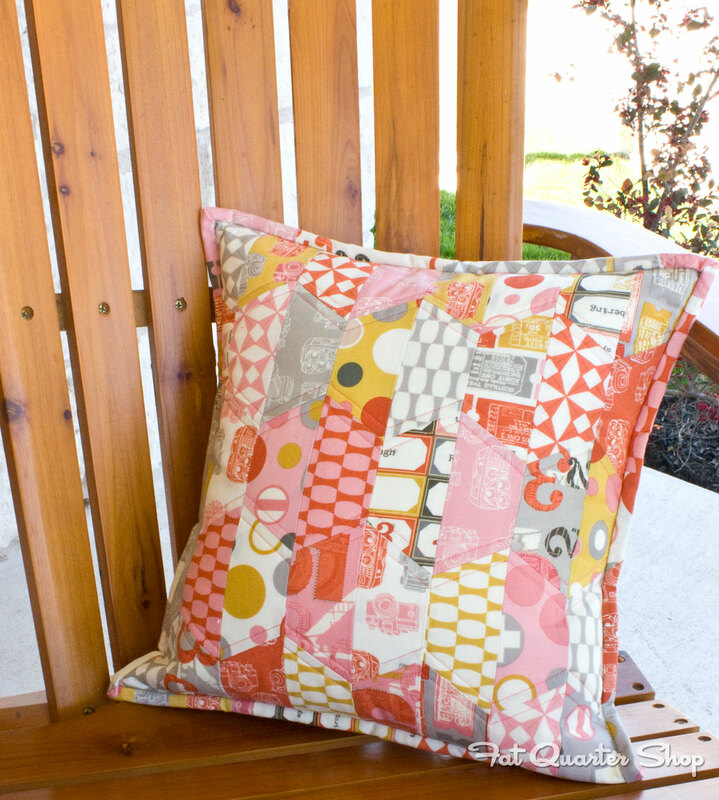 We used the Lori Holt Hexie Half Ruler Set to make this pillow in the small size. This ruler is the perfect size to fit on a Charm Pack which measures 5” square. You can make two from one 5” square. The rulers do not slip and are easy to cut around. The pillow was actually strip pieced, sewing the hexie pieces in a row and then two rows together to make a full hexie. Very easy and fun! Stock up on Charm Packs, read Sherri's tutorial and grab a Hexie Half Ruler Set! You will be pillows in the blink of an eye! 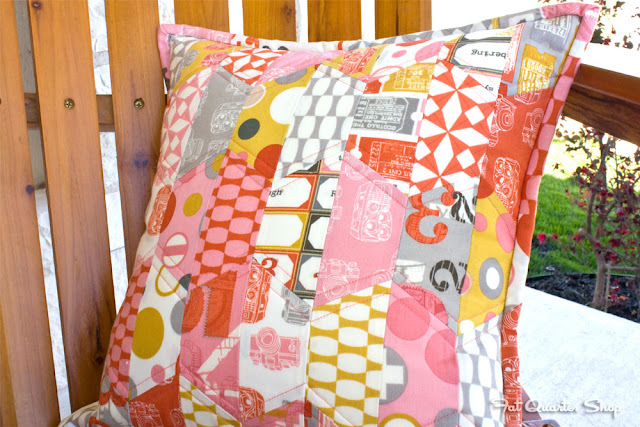 My pillow features the 2wenty Thr3e collection by Eric and Julie Comstock! Read this adorably cheeky interview with Eric and Julie and shop the full collection here!